Looking for the Rehearsal Schedule? If you know you'll need a little time away from our rehearsal schedule, please let Michael know as soon as possible. The Dropbox link to our scores will be here, once we've got it. Time and attention spans are scarce commodities. Wherever possible, direct your communication to the smallest group possible. (Don't make someone read an e-mail that doesn't concern them. Reply All is almost never the right choice.) Keep your e-mails concise and on-point. Please don't use the choir list for non-choir topics. In order to help with spam and forwarding filters, I recommend including "IVE" or "Isthmus Vocal" in the subject line. In cases where you need to contact the entire choir (need a ride, etc.) please don't Reply All to a previous email. Create a new email with an appropriate Subject line. 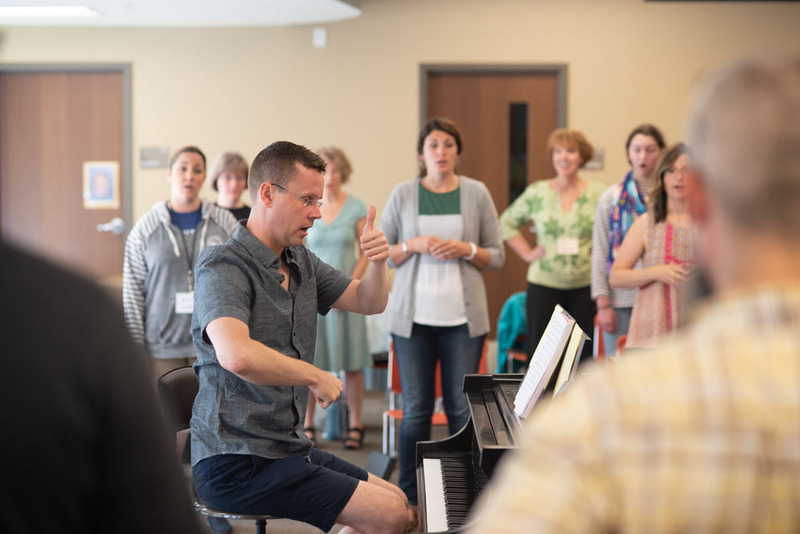 Because we have such a short rehearsal period, singers are expected to prepare in advance and arrive at the first rehearsal with a solid knowledge of their voice parts. Come prepared. The first two weeks of rehearsals will be held downstairs in the Fellowship Hall at Christ Presbyterian Church unless otherwise noted. If at all possible, do not inform Mike at the beginning of a rehearsal -- please wait till after the rehearsal. Check with a section member on what you missed, particularly markings. IVE dues are mandatory and are $40. If this represents a hardship, please contact Mihcal McClelland (our treasurer) or another board member. A donation of $100 or more waives dues and can be claimed as a tax-deductible contribution. Dues are due by Saturday, July 28. The money is used to purchase and ship music, to support honoraria for the accompanist, artistic director and other musicians, and other operational costs. Please give your dues to Mihcal, or to any board member. Catherine Pippitt can take your dues via the Square reader, but cash & check are preferred. Our Sunday, July 29 evening “rehearsal” includes a potluck and socializing, along with a bit of singing. It starts at 6:15 and will be held at the Burrows Park shelter, 25 Burrows Rd, Madison. We have a fun outing planned for Wednesday, July 25. Friends and family welcome. Encouraged, even! It will likely be the best summer day you'll have all year. We'll have a post-concert party for musicians and their immediate partners (not the general public) immediately following our Sunday afternoon performance. We'll have the details set up in a bit. Check back. Contact any (or all) of us with questions or comments.